Sonic the Hedgehog Community |OT| There’s no end to this franchise! 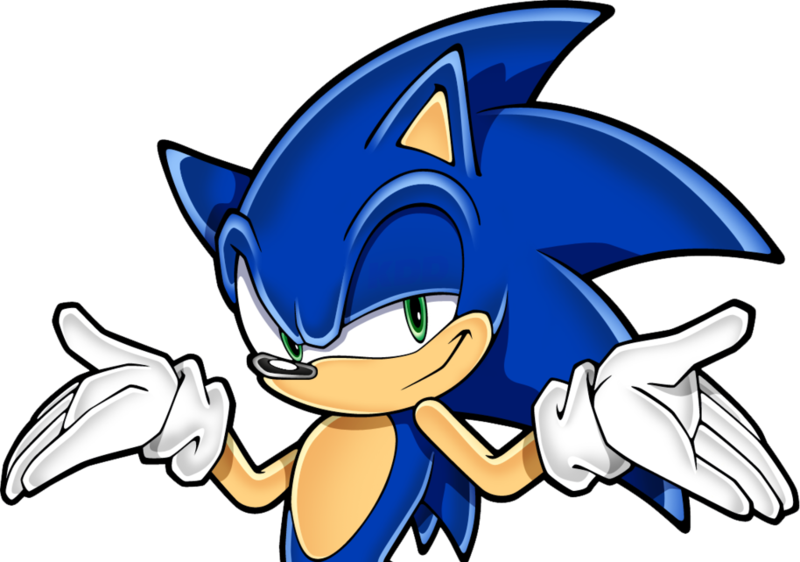 This is a thread for everything relating to Sonic the Hedgehog. That being said, please keep it clean and follow the ToS. Fanworks are fine, but be reasonable. NO "AWESOME" FANART/FANWORKS ALLOWED. If you have to wonder if it's ok to post, then it probably isn't. If you're going to post a huge image, either use quote tags to shrink the image, or put it behind a link. Discussion about the latest game(s) is more than welcome, but don't forget that new news = new thread. We now have a Discord room! Ask for permission for entrance. Sonic the Hedgehog, ever since his debut in the early 1990s, has been adored by players around the world. But Sonic isn’t only a huge force as a videogame character; he’s had his fair share of TV shows chronicling his adventures and misadventures across various lands. 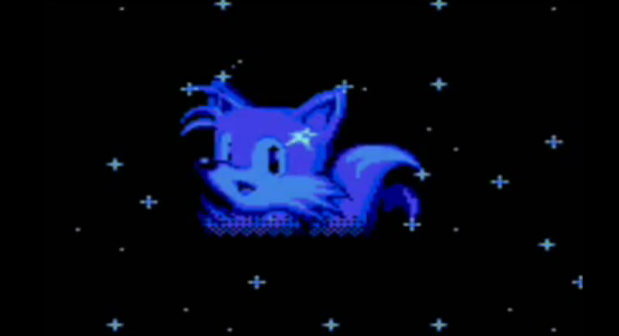 This was also the first time players were able to attach a voice to Sonic. There have been six cartoon/anime series produced by various animation studios for Sonic: The Adventures of Sonic the Hedgehog, Sonic the Hedgehog (known by many as SatAM), Sonic the Movie (fondly referred to as “Sonic OVA”), Sonic Underground (“Sonic le Rebelle”), Sonic X, and Sonic Boom. Both Sonic the Hedgehog (SatAM) and The Adventures of Sonic the Hedgehog (AoStH) debuted in September 1993; both produced by DiC Entertainment to represent Sonic the Hedgehog on TV. Jaleel White of Family Matters fame provided the voice for Sonic the Hedgehog for both shows. However, the two shows could not have been any different. The Adventures of Sonic the Hedgehog took a more humorous approach to the world of Sonic the Hedgehog, often including slapstick comedy and one-note episodes (rather than being story and drama-driven like SatAM). 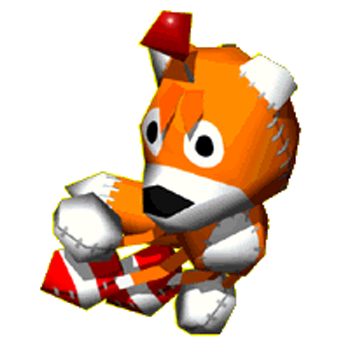 It focused on Sonic and Tails’s adventures throughout Mobius while foiling the plans of Dr. Robotnik (voiced by the late Long John Baldry) and his robot lackeys Grounder, Scratch, and Coconuts. It also included brief snippets of Robotnik’s personal history, with some episodes focusing on Mama Robotnik. The final episode aired in 1995. SatAM was the other DiC produced cartoon also debuting in 1993. It got its fan name due to being broadcast on early Saturday mornings. The series followed Sonic, Tails, and a resistance group called the Freedom Fighters who were led by Princess Sally Acorn to stand up against Dr. Robotnik, who had betrayed her father and roboticized the majority of the population. The series itself had a more story-driven and darker tone, complementing the wackiness and humorous tone of its sister show. It is also the only Sonic cartoon that does not involve the Chaos Emeralds at all. The final episode was aired in 1994 and was not picked up for a third season. 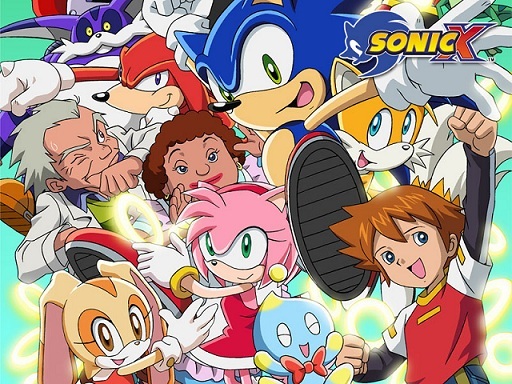 The majority of the show’s characters, story elements, and tone were retained in the Sonic the Hedgehog comic series published by Archie Comics. The third animated feature happened to be a movie: In Japan, it was originally an OVA divided up into two episodes: "Journey to Eggmanland" and "Sonic VS Metal Sonic". In the west, for the ADV Films dub, it was released as a full-fledged movie (“Sonic the Hedgehog: The Movie”) on September 8th, 1999 to coincide with the launch of the SEGA Dreamcast and Sonic Adventure. The first half sees Sonic and Tails venture to Robotropolis in the Land of Darkness to take down the mysterious Metal Robotnik before he can blow up the planet, at the request of Dr. Robotnik himself. The second half sees Robotnik’s true scheme revealed as Sonic squares off against his doppelganger, Hyper Metal Sonic, in a fight to the death for the fate of the Land of the Sky. Sonic Underground—the fourth animated feature—made its debut in August 1999. It was produced by DiC Entertainment when they were contacted by SEGA in the lead-up to the launch of the SEGA Dreamcast (when SEGA was advertising all of its big franchises). 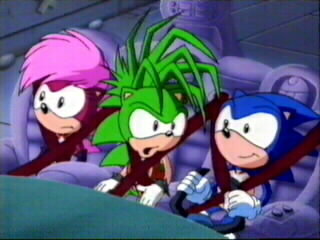 The show chronicled the adventures of Sonic and his siblings Manic and Sonia (all three voiced by Jaleel White) while they attempted to search for their mother, Queen Aleena Hedgehog—the former ruler of Mobius. Dr. Robotnik returns again as the villain, with new bumbling sidekicks: Sleet and Dingo. They pursue the three Hedgehog children to prevent a prophecy from coming to pass: the Queen’s three children will reign Robotnik’s reign of terror. The show also featured quite a few songs per episode, due to all three Hedgehogs being part of a band (“Sonic Underground”), where Sonic plays the guitar, Manic plays the drums, and Sonia plays the keyboards. Sonic Underground only lasted one season due to its lack of popularity among viewers. 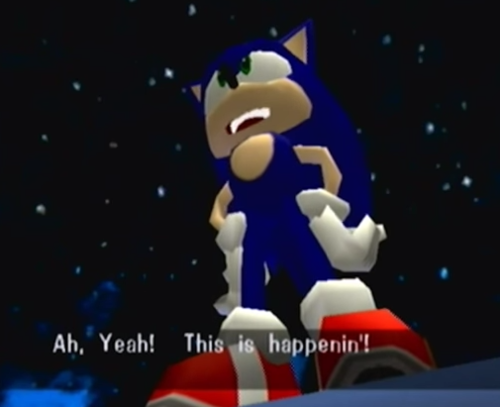 The next Sonic animated feature was Sonic X, animated and produced in Japan by TMS Entertainment. It follows Sonic (Jason Griffith) and the rest of the main cast of the games teleporting to Earth. He meets Chris Thorndyke, a human boy who provides them shelter while they try to thwart Dr. Eggman’s plans to conquer Earth. 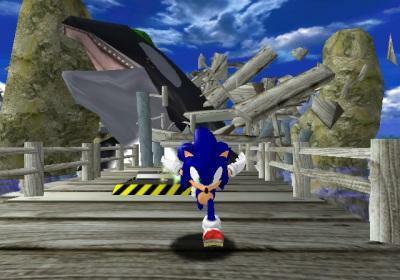 Portions of the first season also adapted Sonic Adventure. Although not very successful in Japan, despite a 52-episode run, the series was very successful abroad, and an additional 25 episodes were made as a “second season” for the series, chronicling Sonic & friends’ travels in space to defeat the Metarex army. Sonic X also introduced many different characters to the Sonic Universe, such as Bokkun, the Thorndyke family, Topaz and Cosmo. A lot of these characters served to assist in developing the main Sonic cast in terms of comedy or even drama (with one example being the relationship between Tails and Cosmo in the second season). 4Kids Entertainment picked up the license for the series in the west, and as a result, the English version of the show was edited for broadcasting guidelines. The soundtrack was changed, entire portions were edited out, and phrases were excised or changed to make the show more family-oriented. Debuting over a decade after Sonic X, 2014’s Sonic Boom was a reboot of sorts for the brand in an effort to find a fresh new direction. The main characters—Sonic, Tails, Knuckles, Amy, Eggman, Orbot, Cubot, and accompanied by newcomer Sticks the Badger—were redesigned to varying degrees in both looks and personality, and placed in a small island community to square off against one another in comedic plot of the week stories. Sharp writing, acting, and a keen sense of self-awareness brought it to life, and poor treatment by Cartoon Network killed it after two seasons. 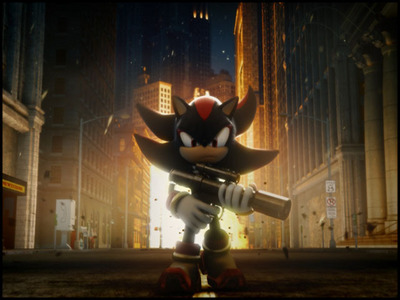 A couple smaller projects have trickled out over time, too, as part of the marketing for upcoming games: As part of Sonic Unleashed’s promotion in 2008, Sega’s then-new CGI studio produced Night of the Werehog, a short silent film in which Sonic and Chip find themselves staying the night in a mansion haunted by a trio of Casper-style ghosts, and neither side has any idea what they’re in for. And in the run up to Sonic Mania Plus’s release in 2018, which also marked the first physical release for Sonic Mania in general, Sega released Sonic Mania Adventures, a five-part series of shorts—written and directed by fan-favorite artist Tyson Hesse—starring the five playable characters of Sonic Mania Plus as they chase Eggman and each other across Angel Island. A sixth part dropped out of the blue near Christmas as a holiday special, guest starring Amy Rose. 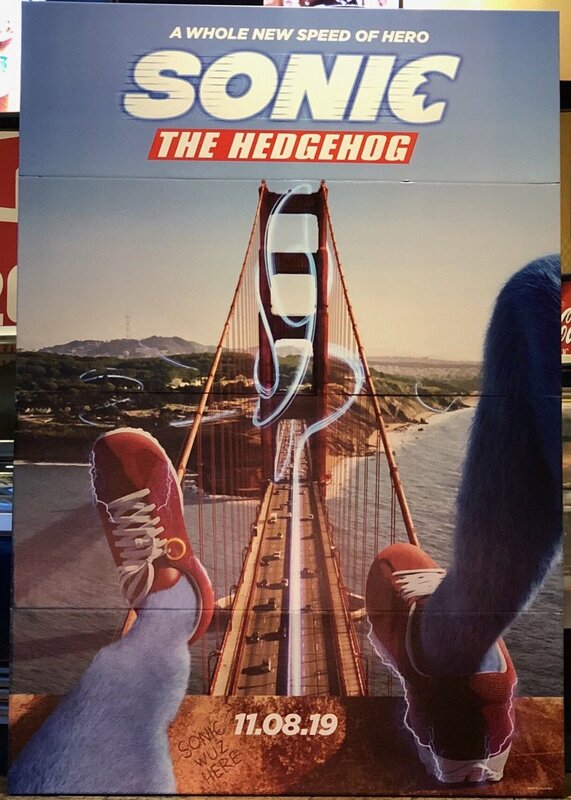 A live-action/CG hybrid movie is due out on November 8th, 2019, starring Ben Schwartz as Sonic and Jim Carrey as Dr. Robotnik. It is… certainly a thing that will happen. We’re trying not to think about it. Western markets have seen three different publishers manage Sonic’s comic adventures over the years, each with their own distinctive spin on the IP. Running from 1992 to 2017, Archie Comics’ run on the franchise is by far the longest, spanning 290 issues in the main series, two spinoffs, two tie-in series for cartoons, and a large collection of specials and supplementary content. 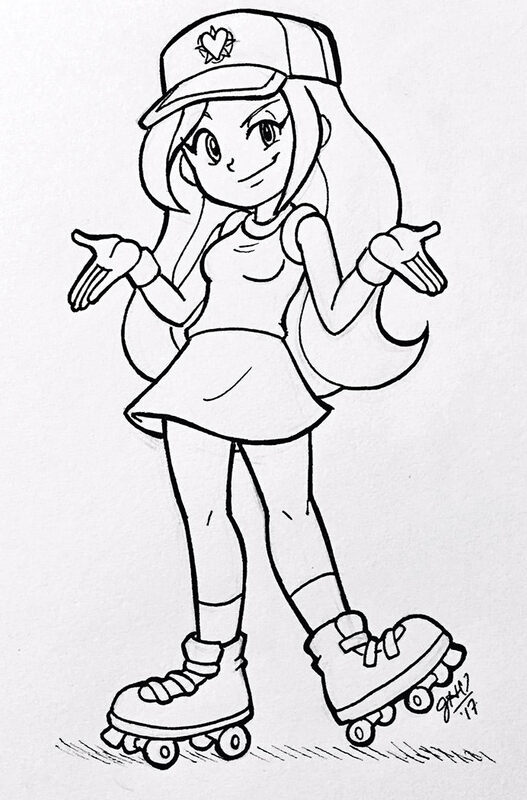 The series originally drew its core concepts from the development material produced by DiC for their upcoming cartoons, drawing heavily on the characters and setting of SatAM in particular, but it had to debut months in advance of either cartoon airing, and as a result had to find its own voice. The first couple years leaned heavily on slapstick under the pens of Michael Gallagher and Angelo DeCesare, but as time wore on and the series’ longevity became clear, it was decided to shift towards longer, more dramatic plots, and the bulk of the next twelve years of material would come from the minds of Ken Penders and Karl Bollers, during which the series picked up its reputation for off-brand drama and questionable art. Bollers eventually quit the series in 2004, while Penders was fired outright a couple years later. Lead writing duties were handed over to Ian Flynn as of issue #160, who has gone on to write almost every issue of any Sonic comic since as the well-deserved fan favorite for his snappy character writing and strong grasp of the franchise. 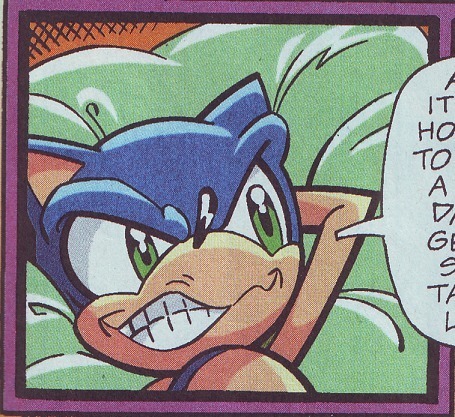 The series was rebooted as of issue #252, thanks to Ken Penders successfully suing Archie for the rights to his creations, and then ended for good a few years later following a split between Sega and Archie. Archie’s material is no longer being published in any form, digital or physical. 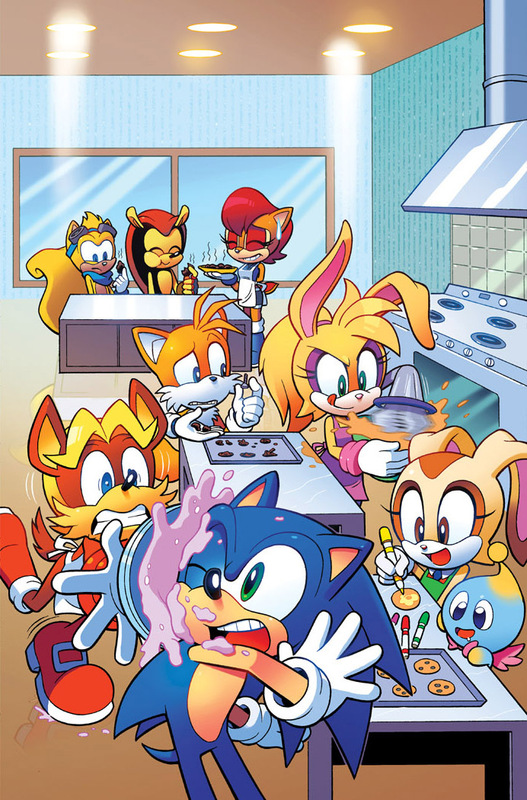 Some of it is available in collected editions across a variety of brandings (Sonic Archives, Sonic Saga Series, Sonic the Hedgehog Graphic Novel Series, Sonic Select, Sonic Universe Graphic Novel Series, and the two Mega Man crossovers), but following Archie’s legal troubles and then the loss of the license, much of it can only be found as individual issues. Across the pond, a completely different creative team put a very different spin on what a Sonic comic could be across 223 issues from 1992 to 2002 in the pages of Fleetway’s biweekly Sonic the Comic. Despite the name, the publication wasn’t just comics, nor was it just Sonic. It served as a general purpose Sega magazine, sandwiching pages of news, reviews, and game hints in between short four to seven page comics. While Sonic featured in the lead story every issue with his own continuing plotlines, the others ran the gamut between everything from Golden Axe to Ecco the Dolphin to Decap Attack. Over time, it came to resemble its name more closely as the magazine content gave way to more comic pages, and the space formerly allotted to other franchises was consumed by the likes of Knuckles and Amy. Sonic’s stories were primarily written by Nigel Kitching and Lew Stringer. Unlike the cartoon-based world of the Archie series, StC drew its inspirations from the official backstory of Sonic having once been the assistant to kindly Doctor Ovi Kintobor, as well as the games themselves, and formed its identity from there. Stories ranged from Sonic saving animal buddies from badniks and Robotnik in Green Hill Zone to tangling with a horde of Metal Sonics, dueling his own super-powered evil form, and handling all manner of other weird miscreants like a recurring group of Mario/Marx Brothers parodies. 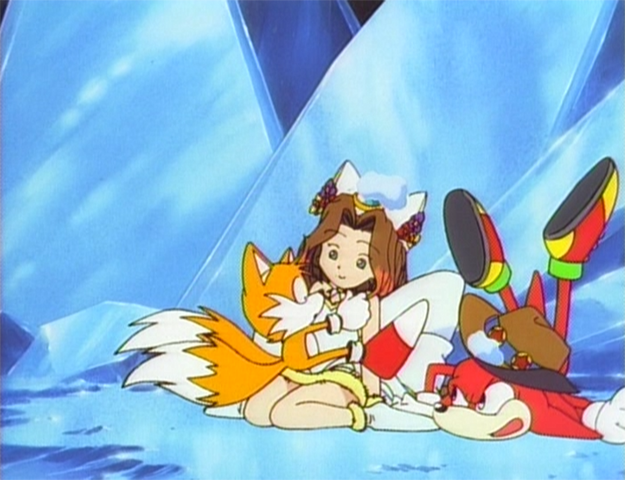 Knuckles got his own globetrotting adventures as well, often with the Chaotix in tow, while Amy eventually got over her crush and spent a good bit of time getting into trouble with gal-pal Tekno the Canary. The series was effectively canceled after its climactic Sonic Adventure adaptation concluded in issue #184 in 2000, thanks to editorial phasing out new content in favor of reprints, but it lives on still in the form of Sonic the Comic Online, a fan-produced continuation of the series running since 2003 that’s garnered recognition from many of the original creators. StC has never been reprinted outside of its own pages or collected in any form, unfortunately. Following the cancellation of Archie’s license, Sega found a new publishing partner in IDW starting in 2018. 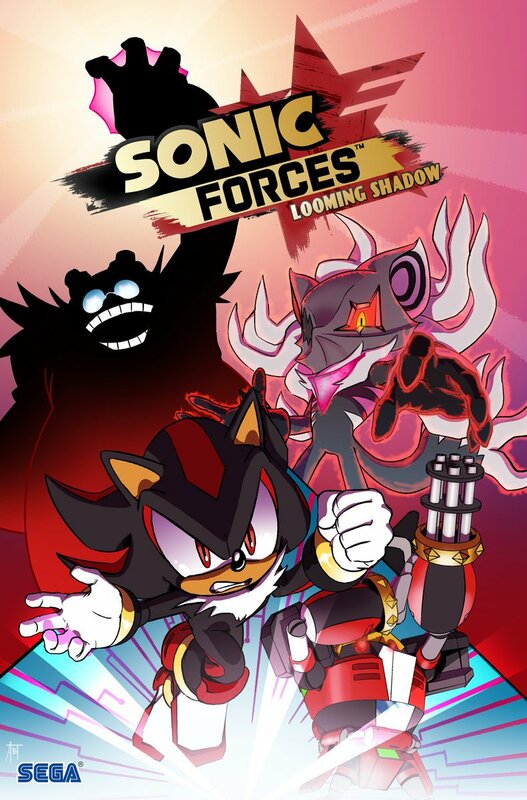 Still under Ian Flynn’s pen and with much of Archie’s artistic talent on deck, the new series sticks closer to the world and characters of the games than ever, picking up where Sonic Forces left off and moving on from there. Trade paperbacks are published periodically, collecting four issues each, with an annual due out this spring and a miniseries about new girls Tangle and Whisper set to debut this summer. Sonic music. Those two words alone mean a hundred different things to a hundred different people. Everyone has their favorite tunes, favorite games, or even favorite eras, but not many know who the people behind the scenes are. So let's take a moment and go on a quick musical trip through history, one living legend at a time. "Sonic is amazingly important to me. As a musician, the Sonic music is really important to me. And if some day down the line, I'm ever given a chance to work on music for Sonic again, I'd be really happy. And I'd get stuck when trying... When I walk by arcades, I'll hear crane game machines playing Sonic music, and I'll just stop there and listen, and I'll cry a little bit from all of the memories." Often imitated, never duplicated. 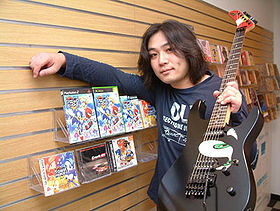 Bassist and songwriter for J-pop band Dreams Come True, Masato Nakamura is the man behind the music of Sonic 1 and 2, save for the chaos emerald jingle and drowning theme which were composed by Sega staffer Yukifumi Makino (who's a major figure in Sega music in his own right). No matter how much time passes and how much the series changes, it still owes its musical tone to this man. "If you are composer for game music, I think you should compose music for games: Interactive parts, overwhelming productions, expressions that have strong relationships with games. If you want to compose music just to appeal to yourself, I suggest working someplace else. I hope we can effect each other with our music." 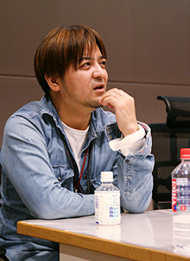 Naofumi Hataya is one of Sega's longest running composers, having joined the company in 1990. He hasn't been one of the main composers on a Sonic game since the days of Sonic 2 8-bit and Sonic CD, but he still contributes a few tracks to the series here and there. Other major projects include NiGHTS, Burning Rangers, Space Channel 5, and Feel the Magic. "I picked the word “Crush” up because of my favorite soda drink and Johnny added “40″ onto the end. You will have to ask Johnny about other numbers!" Love him or loathe him, Jun Senoue's been around Sega since Sonic 3 and doesn't appear to be going anywhere anytime soon. He went on to be the sound director for every major Sonic game between 16-bit 3D Blast/Flickies' Island and Shadow the Hedgehog, and returned to the role for Black Knight, Sonic 4, and Generations. When he's not in the lead, he's in the background working on album releases, coordinating people for vocal tracks, and occasionally contributing his guitar skills to his coworker's music. In his earlier days he also worked on a number of sports and racing titles, which produced some interesting things like Sega music legend Takenobu Mitsuyoshi singing this track from Victory Goal '96. Casino Park - Original ver. "What I like, to make the game vivid with my sound design in total (or even designing the game in total). What I hate, to assign sound effects to the scenario (sometimes, simple sound-effect does good)." 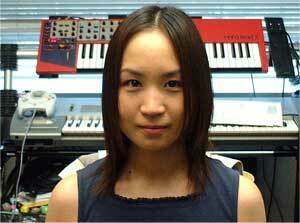 Another 1993 hire, Mariko Nanba started off as one of the two composers on Knuckles' Chaotix, spent the next several years working on the likes of Panzer Dragoon Saga, Space Channel 5, and Billy Hatcher and the Giant Egg, and then returned to the Sonic franchise in a big way as one of the main composers on Sonic '06 and Rush Adventure. She also composed most of the map themes for Colors, save for the two that Hataya did. "I create music because I love music! When I create I first begin to think about the atmosphere and visualize the spectacle. I try to sing a song where the music is likely to start in the game." 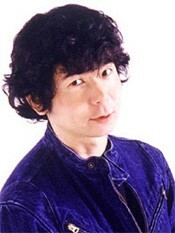 Another one of Sega's veteran staff, having been with the company since 1991. She got started on the Sonic franchise with 1994's Sonic Triple Trouble, and has since had a major part in composing both Sonic Adventures, the first two Riders games, Secret Rings, and Unleashed. 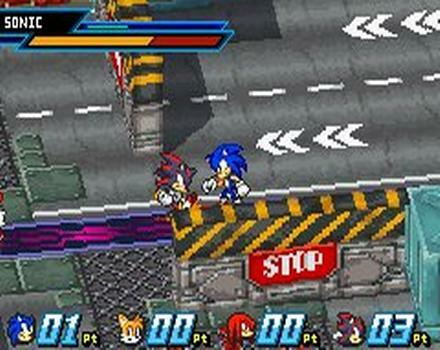 Non-Sonic work includes the likes of NiGHTS, Burning Rangers, and Phantasy Star Online. Her track record speaks for itself. "It is wonderful that many fans have been charmed by Sonic. I think that [the 10th anniversary] is a good opportunity to consider the evolution of the work and what can be done from now on. I appreciate the mastery and width of the expression that I have experienced through Sonic. Thank you Mr. Naka very much. I hope the Sonic series will celebrate 20th, 30th anniversary and I hope the future is connected with his creator." 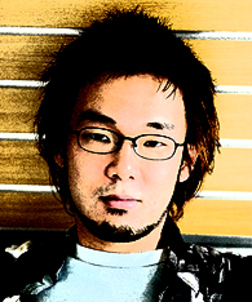 After working on the music for a Daytona USA port in 1996, Kenichi Tokoi was first introduced to the Sonic series as the composer of some of Sonic Jam's original music. Since then he's been more frequently involved with the franchise than any of his coworkers, a lineup that consists of Sonic Adventure, Adventure 2, Battle, Advance 3, Riders, Secret Rings, Riders 2, Unleashed, and Colors. When he's not busy putting out series-defining Sonic tracks, he's been involved in Space Channel 5, Phantasy Star Online, and more recently Yakuza. "I want to join the project that is always striking out in a new direction." 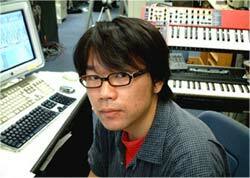 Tomoya Ohtani is one of the sound team's comparatively recent hires, his first project being Chu Chu Rocket in 1999. He contributed a few tracks to Sonic Adventure 2 (most notably the Knuckles raps) and one to Heroes, but spent most of the first half of the 00's on projects like Space Channel 5 and Billy Hatcher. And then he wound up being the sound director for Sonic '06, emerging from obscurity to redefine what modern Sonic music could be after eight years of Senoue. He's since composed for Rush Adventure and returned as sound director for Unleashed and Colors. When Ohtani's in the lead, Good Things are coming. The World Adventure - Piano ver. And there are so many more. Masaru Setsumaru, Teruhiko Nakagawa, Hideaki Kobayashi, Yutaka Minobe, Tatsuyuki Maeda, Tomonori Sawada, Richard Jacques, Howard Drossin, the Michael Jackson-flavored enigma that is Sonic 3, any number of one-off composers like Yuzo Koshiro and Maki Morrow, a wide array of independent bands and artists, loads of supporting staff, the list just goes on and on and on. So the next time you finish a Sonic game, spare a moment of your attention during the credits for the sound staff, and know that the names there are some of the industry's best. Special thanks to Pietepiet, Tizoc, Dark Schala, Sciz, Shadow Hog, and the rest of the Sonic Discord for contributions & ideas. Thank you for that last bit, I love it, bring on the Sonic Era. Nothing about the IDW comics? Its what I'm most hyped for, TBH. President Beef has my vote. His love for Chao Garden will always get my support! Anyone else day 1 for Sonic Forces? That has to be updated, yes. I sent out the voting cards along with the Reset invites! I don't think I can stomach it, even at a discounted price. A quick hello, my old friends. Can't wait to talk new comics, Forces, and everything else. Fun fact: Jennifer Hernandez, who drew the cover of 294, drew my avatar. I'll see you later friends. I preordered it two weeks ago and it immediately charged me and started downloading (17GB file + DLC) so the game must have been gold for a long time now. To be honest though, I did it to support the future of Modern Sonic/3D Sonic. Sonic is a very hit or miss franchise but I admire the ways they innovate. I feared we would only see Sonic Mania sequels or styled games every 2 years for eternity if Forces bombed. So I should like, actually post in SonicERA instead of not post in the previous site's OT lol. Come give your big ol uncle Birdman a hug! BTW do you still got a gaming PC/Laptop? Any fan projects/hacks/mods ya'll recommend? Robo Blast 2, Retro Sonic, Sonic 3 Complete, The S Factor: Sonia & Silver, and Sonic 2 Long. Nice to be with all of you again. Got my start with this franchise on the GameCube with sa1/2 and the mega collection. Been a fan ever since. I was about to reply, but I'm about the same as you. Sonic Mania is unironically one of the best 2D Platformers ever and better than SMW, you heard me. Ah...SonicGAF. Good to be back. I haven't play Sonic Mania yet, but i may try to pick it up soon, i'm still unsure about Sonic Force, but it may be a miss or hit. Sonic Mania is solid, so solid that even a non-classic preferring person like myself had fun with it. It is part of the reason I am so hyped for Forces. For better or worse(and I'm really having my doubts here), I have. I’ll put it this way for Forces hype: it’s the reason I’m buying an Xbox One X. On the hype train, no brakes on the train. You see, right now I realize I can do it if I try; I can do anything & begin to turn around! I was hyping Forces, and then I played the demo and ran into one of the most linear, nonfun to control video games I've ever played. Like, I'm sure it'll be a serviceable title if that's what you're into, but I don't have any interest in a Sonic game that isn't 'good'. When compared to Generations in level layouts and mechanics, it's so far and away. If it had just controlled similar to Generations, I may have picked it up because I like that engine, and even if the level design is mediocre, it might still be worth messing around with. But being as they failed on both ends I just...can't. I might just wait for something sweet on Black Friday. Ian Flynn and Adam Bryce Thomas' issue 3 is out: Looming Shadow. Check it out on the Sonic Twitter. Ayyy good to see this back in action. Glad Sonic Gaf made it over. Was anxious when I didn't see the community thread yesterday. I'd take the discord if someone would like to share. Quote to reveal link -edit- having issues with the coding on this site in comparison. I'll send you a PM. Christening this thread with the newfangled GOAT theme. Man, I gotta say, it's great seeing the more well known SonicGAF members show up here. JC, qq and Koko? it's like Mirage Saloon 2's boss in delivering a trio of Sonic throwbacks! Yar! I went out defending SonicGAF against Evilore. Honestly didn't deserve a ban, much less a perm. But! Here we are in 2017 and I get a second chance and it's good to be back and see you guys. Closer still, but still no dice. Just want to say Kokonoe and qq more, If I ever ticked you off in the olden days, my apologies. And what a way to go out! It's fine but I do appreciate what you said. Honestly, you weren't really bothersome to me it was others but I've been talking with those others recently and some apologized which felt nice. I still remember that thread, it was like an unwavering battle of people who had already made their minds up, myself included. I look forward to all our reactions to Forces when it hits, it's gonna be...something. It only hurts if you let. Speaking Forces, what system y'all getting it for, and what species is your buddy gonna be? Xbox for me, and I am leaning towards rabbit. do we have to? I'm quite happy just discussing Mania for the rest of the year, hahaha. ...oh who am I kidding I'm already confirmed playing Forces once it drops.